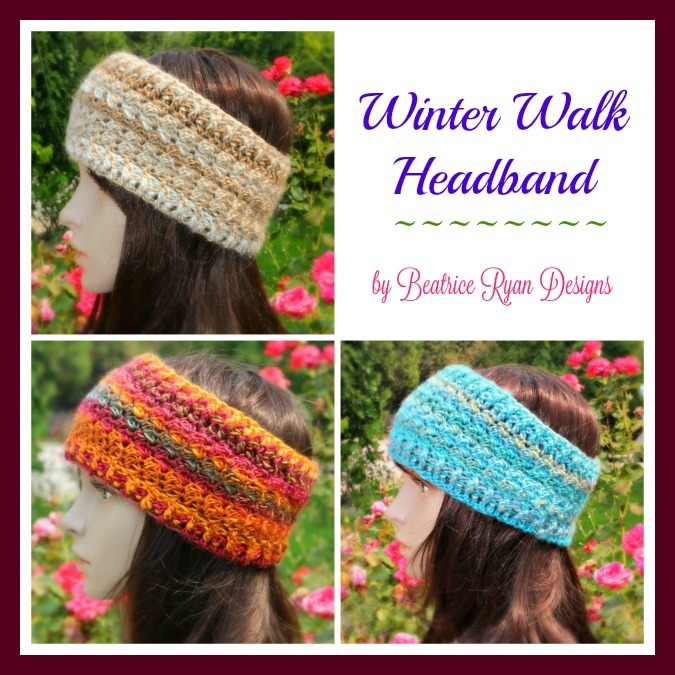 Winter Walk Headband… Free Crochet Pattern!! If you love this Free Crochet Pattern, Save it to your Ravelry favorites… Click Here!! Winter Walk Headband is a simple and quick pattern that works up nicely!! An easy ribbed edging and slightly textural midsection set off the design… You can memorize this pattern in no time at all and make several up for gifts, sales or charity!! As usual, I love working with self-striping yarn and I think using Red Heart Boutique Unforgettable yarn shows off the beauty of this pattern perfectly!! No changing colors, simple-reptitive stitching and best of all… a free pattern!! By joining around the ch 3 sts instead of in the top of the st for the ribbing, you will keep the first st of each ribbing round looking like a fpdc. Ch 66, When starting leave a long tail(3-4″) to join the bottom edge round. *You will work the first Round across, then join. This technique makes it easier not to get your project twisted. You just join the bottom together with the tail. Round 14 – 15: Repeat rounds 2 & 3. Using the long tail of beginning ch, sew the bottom edge of the headband together. Celebrate National Crochet Month with The Amazing Grace Series!! 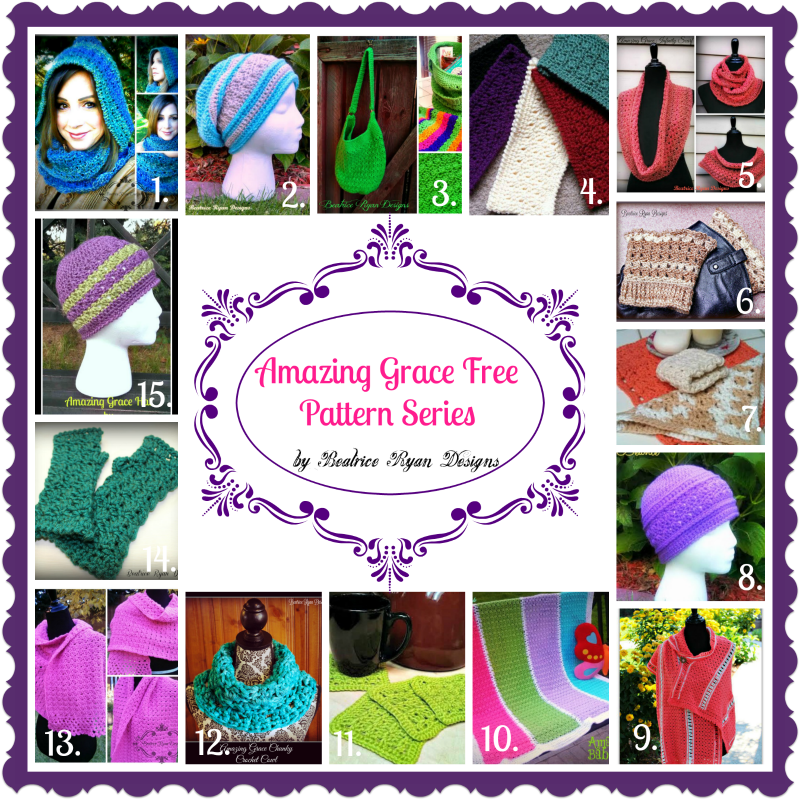 March is National Crochet Month, and what better way to celebrate than to share all of my Amazing Grace Free Crochet Patterns!! 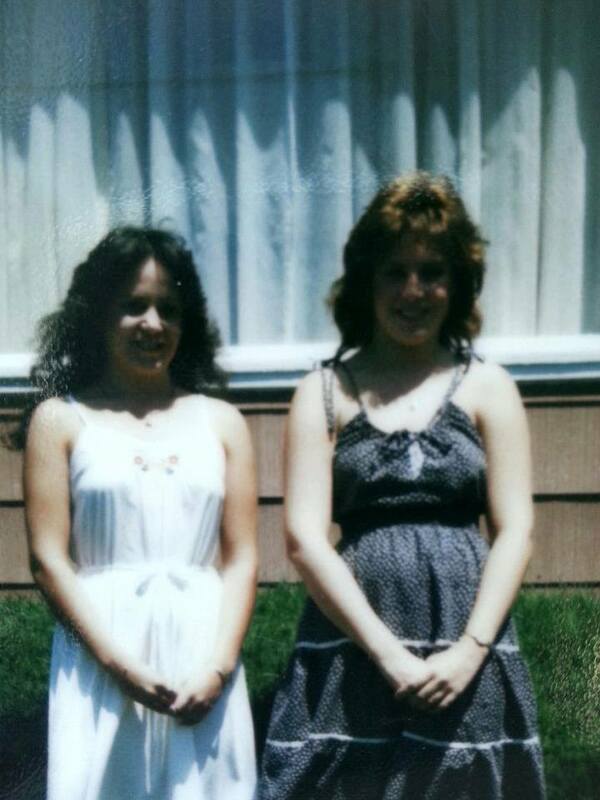 1981 Post High School Graduation Road Trip… Sandy and Me!!! !